Vintage Jaeger LeCoultre manual wind gold watch with fancy case and exotic bracelet. 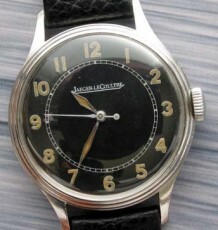 A classic vintage Jaeger LeCoultre manual wind dress watch. 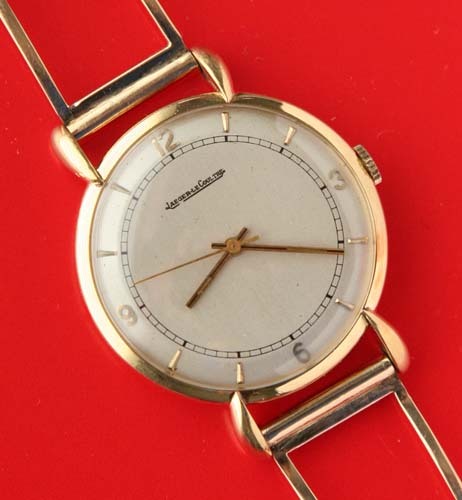 A solid 18 karat yellow gold vintage Jaeger LeCoutre watch from the 1940’s. The smooth reverse tapered, tear drop shaped lugs, add a significant design element to the overall look of the watch. The dial has a white background which contrasts nicely with the raised Arabic numerals in the Explorer style at the quadrants and small gold arrowhead markers at the remaining hour positions. 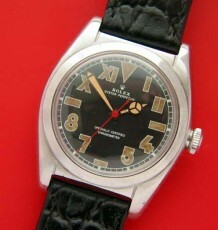 The dial is in good condition with an even patina which adds vintage charm to this high grade wrist watch. The manual wind movement fitted in the watch is a Jaeger LeCoutre calibre P450/4C. The watch was just serviced by my watchmaker and is keeping great time. 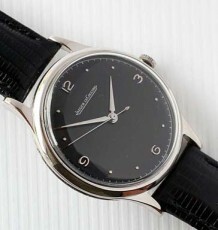 Overall, the watch is in great condition, it measures 35.5mm wide by 45mm long. 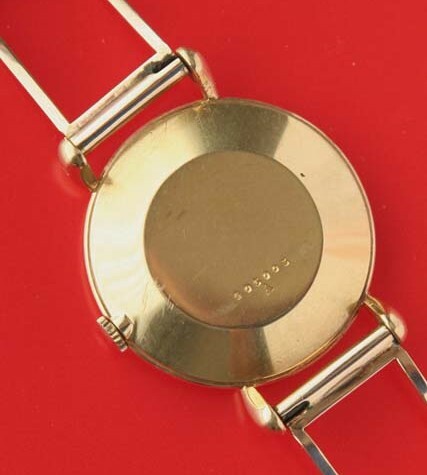 The equally stunning solid gold bracelet is a true conversation piece that appears to have been added to the watch in the 1950’s and is impossible to replace today. 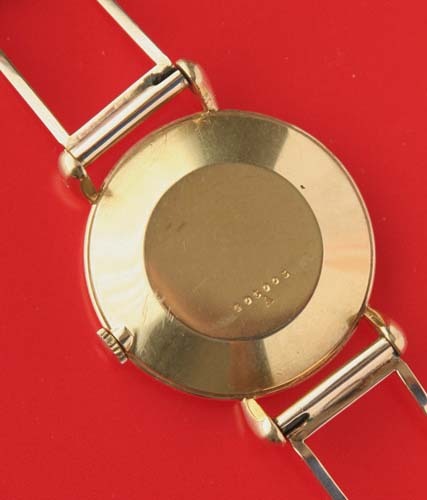 The bracelet, which fits a 7 inch wrist, makes the watch a treat to wear as it is almost imperceptible on the wrist.